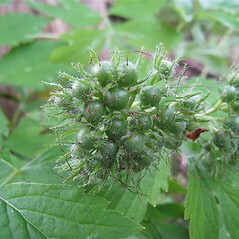 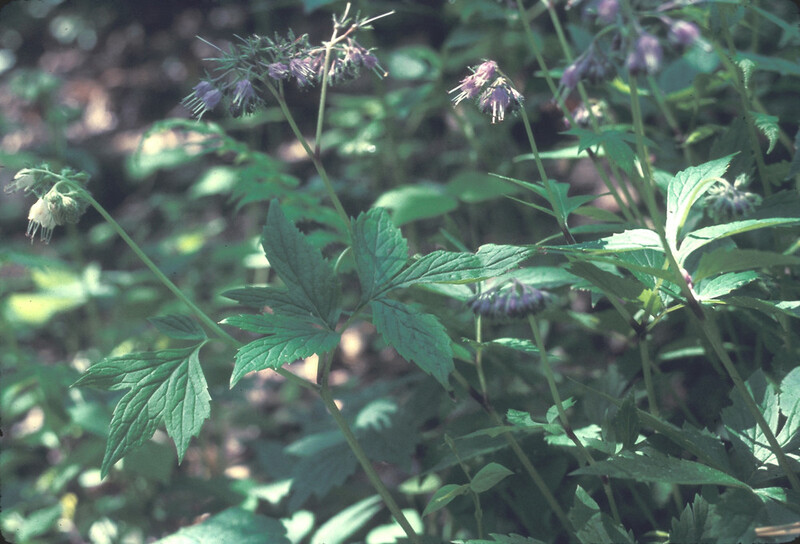 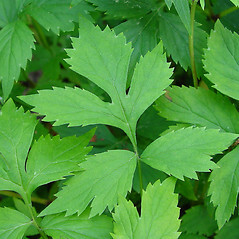 Eastern waterleaf is found in moist, often rich deciduous and riparian forests in Connecticut, Massachusetts, New Hampshire and Vermont. 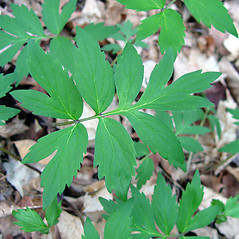 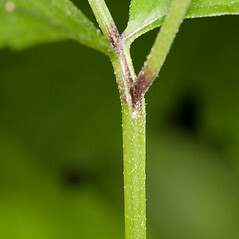 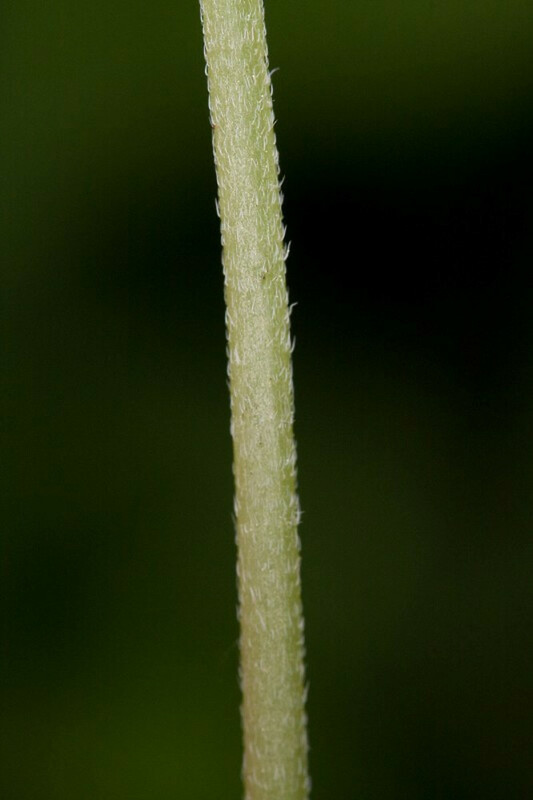 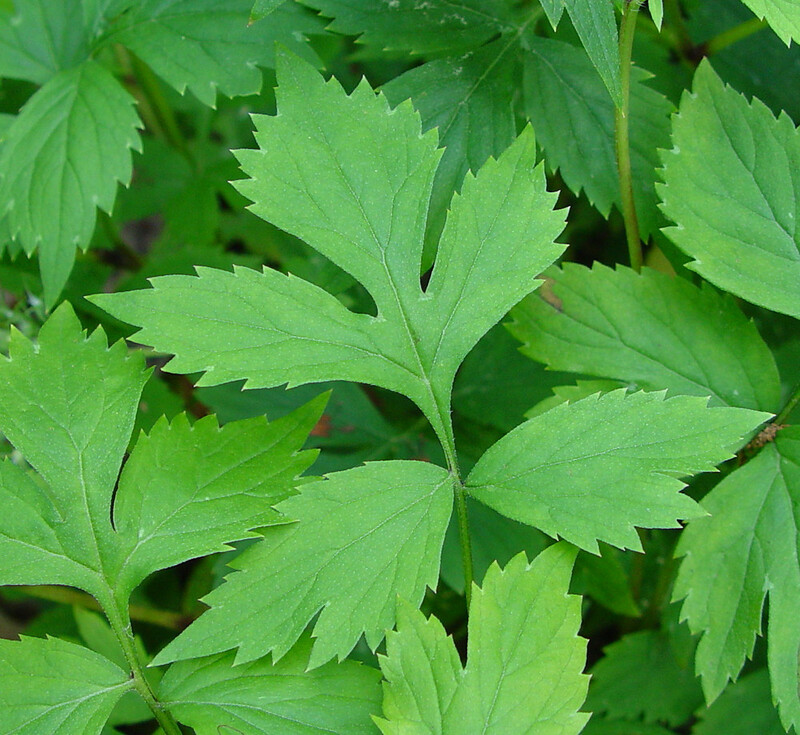 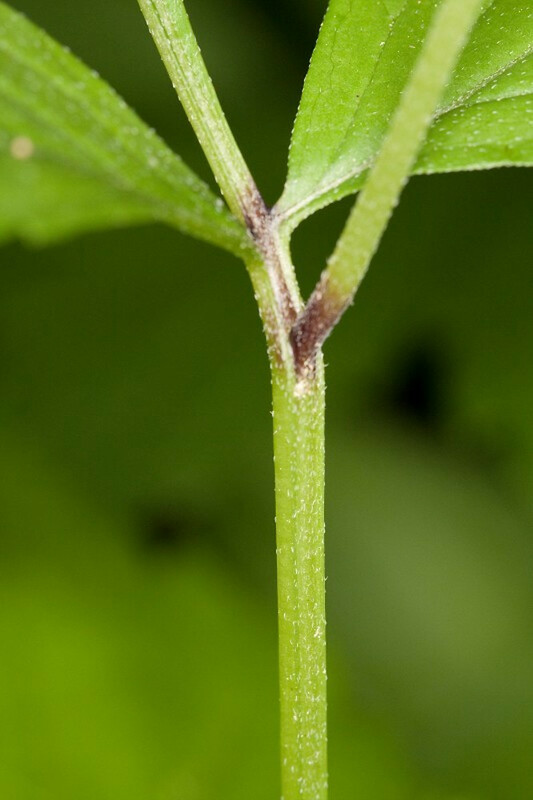 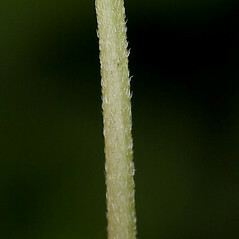 The leaves often have white mottling, which gives them a water-stained look, hence the common name. 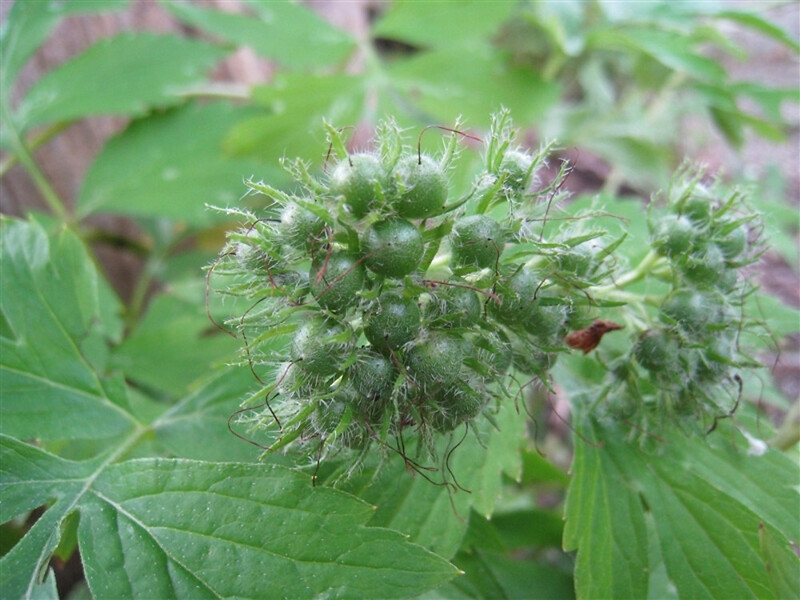 The Iroquois and Menominee ate the young plants and leaves after cooking. 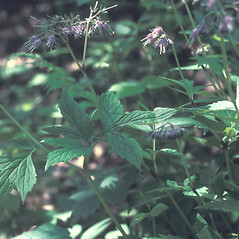 eastern waterleaf. 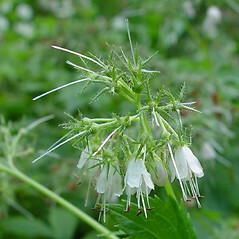 Hydrophyllum virginianum L. var. 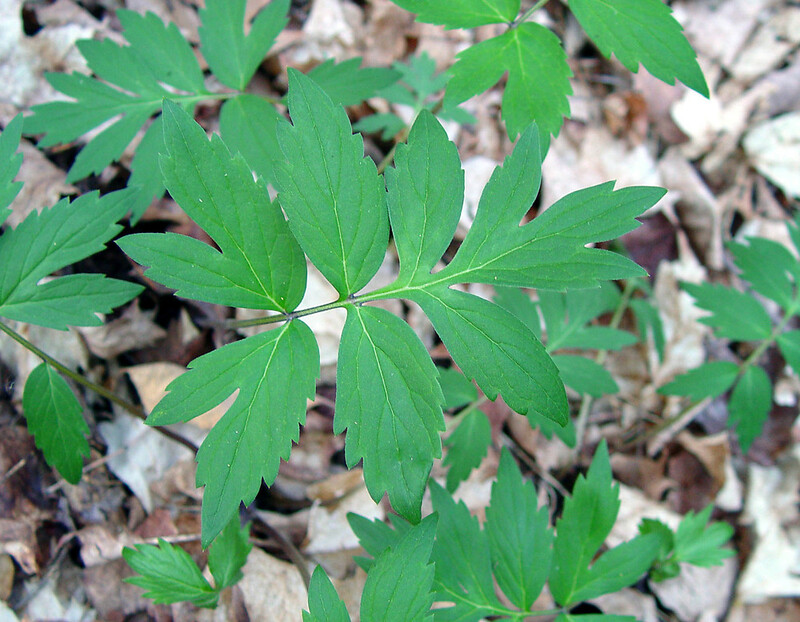 atranthum (Alexander) Constance • CT, MA, NH, VT. Mesic, often rich, deciduous forests, riparian forests.